Click to Download Joanne's FREE eBook! 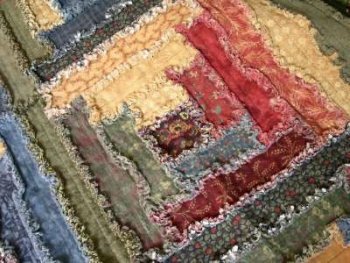 "As you can tell I love rag quilts. This log cabin rag quilt combines a traditional quilting method with a newer technique. 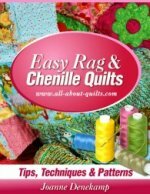 "In fact you can use almost any block pattern combined with the rag technique to make a rag quilt. Just use your imagination. You will find many free block patterns in my site. The results will be outstanding! "Use your fabric of choice and if you have a favorite log cabin template then use that or you can use the template below."